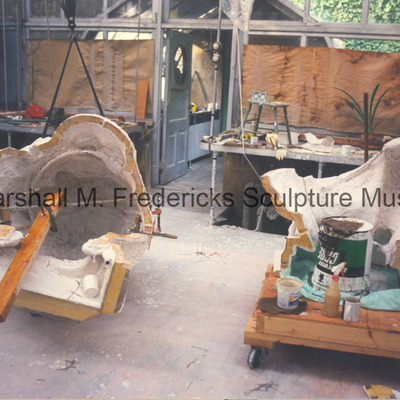 Plasteline model of "Baboon Playing a Mandolin" and plaster molds in Marshall Fredericks' Bloomfield Hills (Greenhouse), Michigan studio. A bronze casting of this work is in the children's garden, Community House, Birmingham, Michigan. 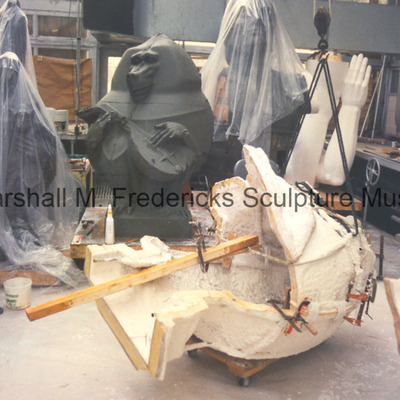 Plaster molds for "Baboon Playing a Mandolin"